The consultant realizing design works is Italian Joint Venture of "Spea Ingengneria Europea S.p.A." and "IRD Engineering S.r.L". 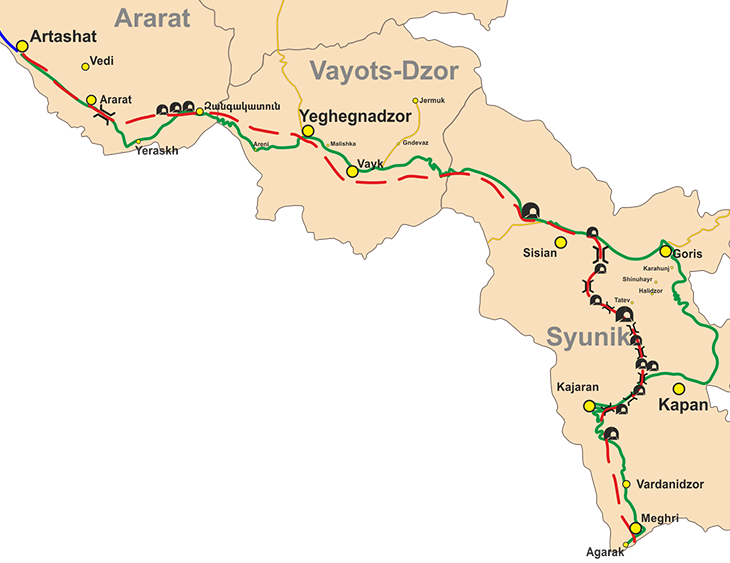 The feasibility study and preliminary design of about 56km of the section of Qajaran-Agarak road is completed and the construction of about 4.7 km tunnel will cut it and reduce to 42km. For the construction of 36km a loan agreement of about USD150 million was signed with the Eurasian Development Bank. Tenders for contructor and consultant are underway.